Good to catch up with friends and the orienteering community at Nationals. Nelson OC organized and successfully managed a marvelous four days starting with the Sprint on Good Friday at Queens Garden and NMIT in Nelson followed by the Middle, Long and Relay at St Arnaud. The topography and bush at St Arnaud certainly held some challenges and managed to produce both the physicality and technicality expected from a national Long and Middle. Congratulations to PAPO for winning the Relay – this makes four consecutive victories. Staying with the Nationals – it is so rewarding to see a smaller provincial club such as Nelson deliver a major event. We know that Nelson had to rely on assistance from several other clubs – most notably PAPO – but they managed to acquire all the necessary technical support, IT requirements and controls through the strength of their relationships with neighbouring orienteering clubs. This together with the willingness of their volunteers to produce a showcase event ensured that Nationals 2016 could only be a success. ONZ is keen to assist all clubs with hosting major events. We currently have a vacancy for an Events Liaison person who would work with clubs when preparing for such events as well as developing a long term programme of events in conjunction with the High Performance Leader and Selectors. This is a paid part time role – so if you know anybody who you consider would be suitable – please bring it to their attention. Thankfully the AGM gave its support and approval to a new Constitution. This will see a new form of governance overseeing the affairs of ONZ whilst all operational aspects will remain with the clubs who will be supported by the various ONZ committees. Once the new Constitution is lodged with the Registrar of Incorporated Societies, we will be seeking applications for a vacancy to sit on the newly established ONZ Council. In terms of future events, the number of flyers left on car windscreens at Nationals would infer there is plenty in the pipeline over the coming months. First up is Red Kiwi who are to host ANZAC 16 followed by Wellington running the Queens Birthday event which will see representative teams from Australia in evidence. Finally, good luck to those participating in the respective North and South Island Secondary School Champs. 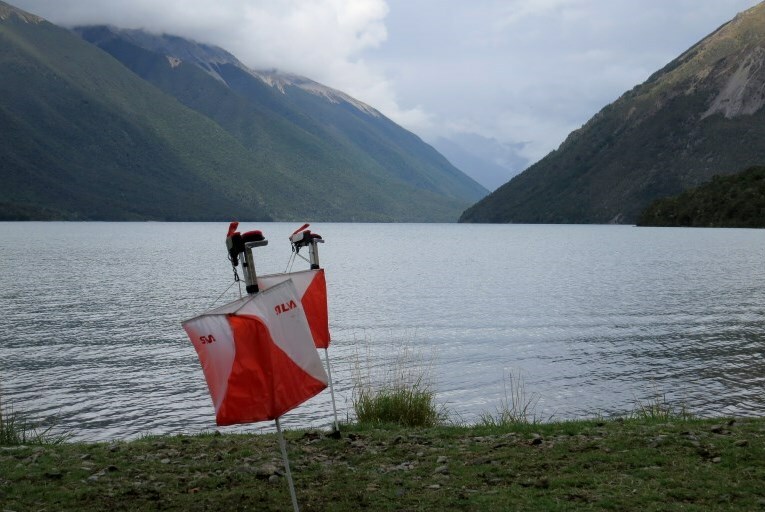 The AGM was held on Saturday 26 March 2016 at the Lake Rotoiti Hall, St Arnaud. David Turner and Tom Davies were re-elected to President and Vice-President respectively. Their roles will now roll into the new Council structure under the new constitution. The new constitution was passed. A vacancy for the Council exists so we will be inviting applications for this shortly. The Athlete Contribution policy G6 has been withdrawn by Council for revision and redevelopment, with a particular focus on WOC. A revised policy will be circulated to Clubs for comment before being approved by Council. The AGM agreed the Athlete Contribution Fee for 2016 JWOC and NZ Secondary Schools will remain as per the policy. The AGM agreed to put the secondary schools grade review to the Junior Development Committee. The Committee will be seeking input on the proposed changes from Clubs as well as NZSSSC. The deadline for applications has been extended so we can get a suitable candidate. We are missing lots of National Championship Trophies so we were unable to present these to the winners at the Prize Givings in Nelson over Easter. If you have, or know of someone who has, a National Championships Trophy which they won over the last few years but have not handed back, can you please contact Catriona gm@orienteering.org.nz so we can get these to the rightful 2016 recipients. Sport NZ is committed to safe sport and recreation for children. Children can be harmed through their experiences of sport and recreation. This harm can take many forms including: physical harm from engaging in a physical activity, emotional abuse, bullying, putdowns, inappropriate cultural practices, physical and sexual abuse, and other harmful practices. Harmful practices have no place in children’s sport. Some sports, especially contact sports, contain an inherent risk of some physical harm by participating in that sport. The risk may be entirely acceptable if it is appropriate for the children involved. This risk should be identified, understood and addressed by specific risk management plans/measures to minimise and/or eliminate the risk if appropriate to do so in the circumstances. Sport and recreation organisations have a duty of care when it comes to children and should take steps to ensure that children can participate safely in the activities they provide. Sport New Zealand in conjunction with Gemba Insight has produced a sports participation and digital media report. This report outlines digital media channels and participation across sports and provides some good information to assist your organisation with your digital strategies. This report is now available on the Sport NZ website. Safety culture will be the focus of TIA’s Adventure Safety workshop facilitated by Chris Warburton. The workshops are scheduled for April. If you are involved in safety leadership roles in your club you maybe interested in these workshop..
Watch this space and the SupportAdventure website for venues and dates. A review of the Ministry of Education EOTC Guidelines, Bringing the Curriculum Alive (2009) is almost complete. The updated document falls in line with the new Health and Safety at Work Act that will come into force on 4 April 2016. The Guidelines underpin schoolwide management of education outside the classroom (EOTC), which includes outdoor education and any other programmes or events run in the outdoors. You’ll be able to access the document on the Ministry of Education website TKI. Mountain Safety Council’s new digital resources for the modern tramper – Day Walks and Multiday Tramping – are available to download and for sharing on social media. Given the rise of phones and devices in wilderness areas, this initiative is geared towards visitors and Kiwis who plan their trips in a different way. Subscribe or update your email list Preference now.